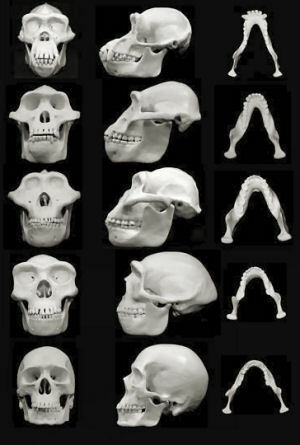 A controversial new paper from the University of Utah contends that human faces have evolved over time to minimize injury from punches to the face during fights. The new theory, detailed in the journalBiological Reviews, presents an alternative view to the long-held hypothesis that the robustness of our faces resulted largely from the need to chew hard-to-crush foods. The authors of the new paper, University of Utah scientists David Carrier and Michael H. Morgan, say that our Australopith ancestors were characterized by traits that would appear to have improved their fighting ability, including hand proportions that allow formation of a fist – effectively turning the delicate musculoskeletal system of the hand into a club effective for striking. “If indeed the evolution of our hand proportions were associated with selection for fighting behavior you might expect the primary target, the face, to have undergone evolution to better protect it from injury when punched,” said Carrier, lead author of the study. “Importantly, these facial features appear in the fossil record at approximately the same time that our ancestors evolved hand proportions that allow the formation of a fist. 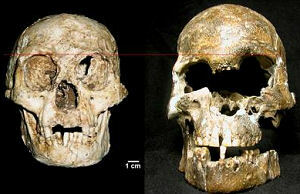 Together these observations suggest that many of the facial features that characterize early hominins may have evolved to protect the face from injury during fighting with fists,” he added. 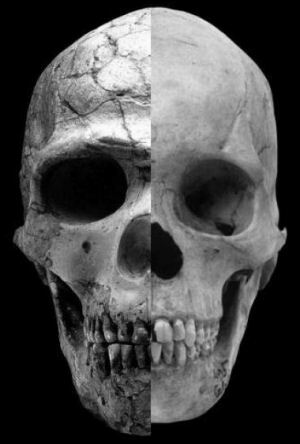 The new paper by Carrier and Morgan builds on the pair’s previous work, which suggested that violence played a greater role in human evolution than is generally accepted by many anthropologists. Specifically, Carrier has previously investigated the short legs of great apes, the habitual bipedal posture of hominins, and the hand proportions of hominins. Morgan added that the new study brings interesting elements to the ongoing conversation about the role of violence in evolution. “I think our science is sound and fills some longstanding gaps in the existing theories of why the musculoskeletal structures of our faces developed the way they did,” he said. 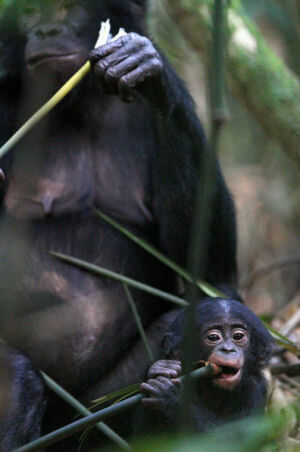 Bonobo communication similar to that of human infants, suggests new study Flores’ “hobbit” not a new human species, say detractors Did feminization create modern humans? 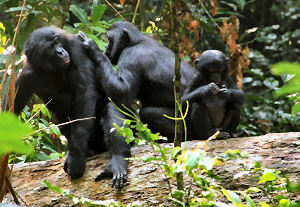 Loved-up bonobos stay young longer Evolution to blame for modern-day health problems? Humans Behind Early Oz Ecosystem Collapse? 1994 Press Photo Walter Cronkite hosts "Ape Man: The Story of Human Evolution"
1994 Press Photo Walter Cronkite hosts Ape Man: The Story of Human Evolution.